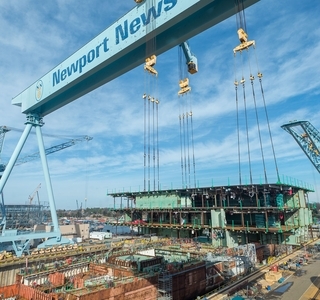 NEWPORT NEWS, Va., Feb. 01, 2017 (GLOBE NEWSWIRE) -- Huntington Ingalls Industries (NYSE:HII) was awarded a $25.5 million modification to an existing advance planning contract in support of advance fabrication of the aircraft carrier Enterprise (CVN 80) on Tuesday. 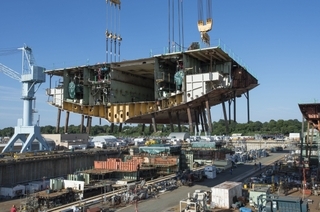 The initial structural fabrication and shop work on the third Gerald R. Ford-class carrier will be performed at the company’s Newport News Shipbuilding division through March 2018. 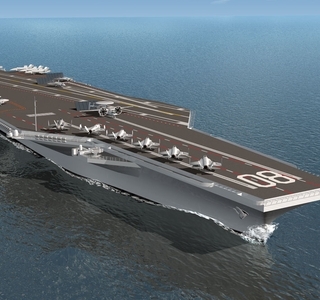 HII shipbuilders have captured thousands of lessons learned and developed new build approaches during construction of Gerald R. Ford (CVN 78), most of which are being implemented as cost-saving initiatives in building the second ship in the class, John F. Kennedy (CVN 79). 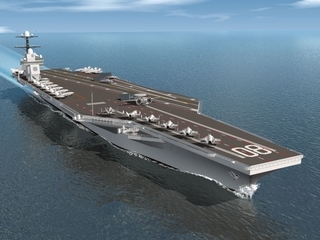 These initiatives will also apply to Enterprise, and HII will work with the Navy to identify additional cost-saving initiatives for future Ford-class carrier construction.